Stylings BS 4 and BS 5 are characterized by a filigree elegance which is additionally emphasised with the “black-bright turned“ and ”brilliant silver painted” surfaces. 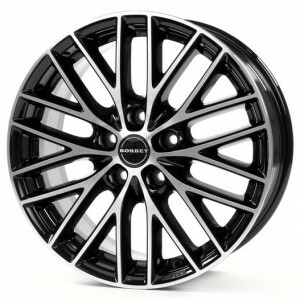 The wheels are available in the sizes 15“ to 18“. The wheel market goes to through facis with different designs coming in and out of fashion just like clothes. At the moment designs like the BS5 are very popular on cars big and small.